FOR the second year running, Antrim will face Dr McKenna Cup kingpins Tyrone in the pre-season competition while Derry and Queen’s compete Section A following Tuesday night’s draw at the Fitzwilliam Hotel. Antrim lost out to the Red Hands in the their final group game last year while Mickey Harte’s men will be bidding for their fifth sucessive triumph in the competition. At the launch of the 2016 edition, Ulster Council president, Martin McAviney implored the counties and colleges to build on the success of last year’s competition following previous disputes over player selection. In the majority of cases, the colleges have first pick on the players, but that policy is set to deprive Antrim boss Frank Fitzsimons of up to a dozen players. Ryan Murray, Niall Delargy, Dermot McAleese and Oisin Hamill could line out against their native county when Antrim face Queen’s next month while Paddy McBride, Matthew Fitzparick and Paddy McAleer will feature for St Mary’s. Niall McKeever will captain UUJ in 2016 and he will be joined by Antrim teammates, Niall O’Neill and brothers, Ricky and Marty Johnston. Additionally, Owen Gallagher is studying in NUIG. CJ McGourty will also be unavailable to Fitzsimons having declared for the Antrim hurlers. However, Fitzsimons has been able to coax several players out of inter-county exile ahead of the new campaign including Kevin Niblock and Kevin O’Boyle. “We have got four or five players back who we didn’t have last year and that is a big boost for us,” said Fitzsimons. “Kevin Niblock is back, Kevin O’Boyle, Marty Johnston, Sean Burke are also back. “We also have a few other players who have joined us – Jackson McGreevy and Paddy Gallagher. Fitzsimons also confirmed that both John Carron and Tomás McCann have returned to the panel after opting out last season. However, the inter-county future of Michael McCann remains unclear but the Antrim boss is hoping the Cargin midfielder will return at some point in 2016. “We are hoping for a positive answer from him (McCann),” added Fitzsimons. The colleges have already submitted their panels to the Ulster Council and the county teams will confirm their Dr McKenna Cup squads in the coming days. On the draw itself, Fitzsimons insisted that there were no easy draws with Ulster champions Monaghan joining UUJ, Cavan and Armagh in Section C, while Donegal are in Section B with St Mary’s, Fermanagh and Down. 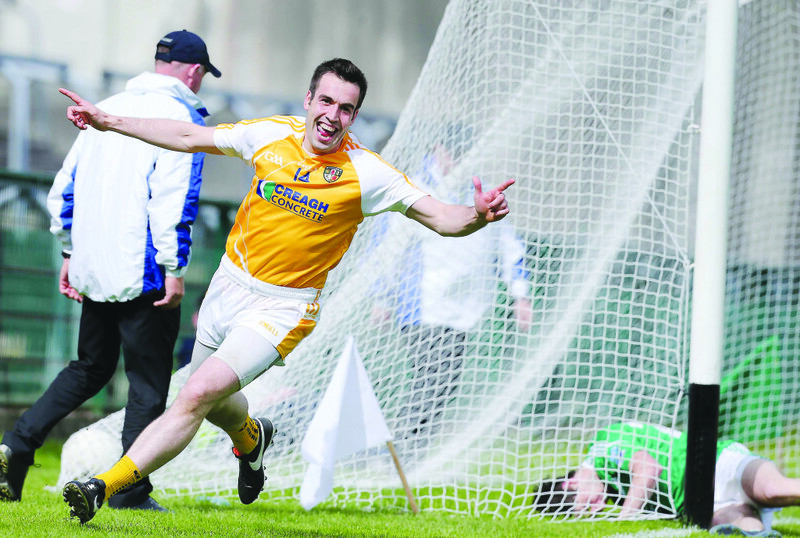 “It really doesn’t matter who you draw – it is always going to be tough,” said the Antrim manager. “Everybody is out to try and make the panels and it will be tough no matter what way you look at it. The fixtures will be confirmed by the Ulster Council next Tuesday with the opening round taking place on Sunday, January 3.